Cyanobacteria are persistent and a serious problem in the Yahara Watershed. These “blue green algae” are common in lakes that receive an abundance of nutrients like nitrogen and phosphorus, from human activity in watersheds. They are known for “blooming” unpredictably during the summer months. These blooms can sometimes be toxic, because the cyanobacteria produce toxins for unknown reasons. The occurrence of blooms and toxin production cannot currently be predicted because our understanding of cyanobacterial biology is limited. However, we do know a little bit about how and why they bloom, and whether or not toxins could be produced in a lake. This talk will explain what we know, what we don’t know, and what we wish that we knew, about freshwater cyanobacteria. 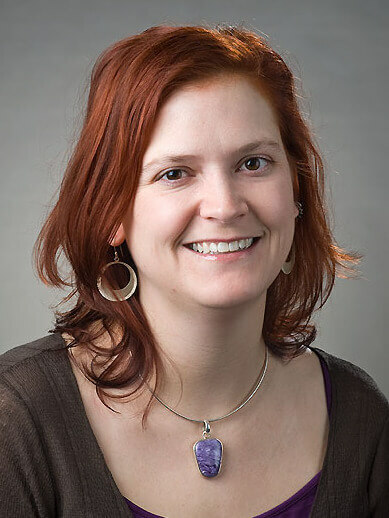 About our speaker Katherine (Trina) McMahon is a professor in the Civil and Environmental Engineering, and Bacteriology Departments at UW-Madison. She has been studying freshwater lakes since 2003 when she arrived in Madison after completing her PhD at the University of California at Berkeley. She studies the biology of microorganisms living in freshwater ecosystems using Wisconsin lakes as living laboratories. Her research team uses a combination of classical limnology approaches and modern genomic sequencing techniques to discover how microorganisms in lakes provide critical ecosystem services related to water quality. She is a Vilas Distinguished Achievement Professor and was recently elected into the American Academy of Microbiology. Trina lives on the west side of Madison with her two children, husband, and two silly cats. She is honored to live in the house owned by Aldo Leopold during his tenure at UW-Madison. About the series Yahara Lakes 101 is a series of educational events open to the public and a great chance for residents to learn more about the science behind the issues that affect our lakes. Each month we feature a different expert to make the science accessible and interesting to non-technical audiences. The series is produced in partnership with the UW-Madison Nelson Institute for Environmental Studies, with hosting sponsor The Edgewater, presenting sponsor First Weber Group, supporting sponsor The Evjue Foundation, and media sponsor The Isthmus. The event is held both indoors and outdoors (weather permitting) at The Edgewater. Come at 7:30 a.m. for a meet-and-greet and to enjoy your coffee, pastries, and fruit. The program begins at 8 a.m., and class is dismissed by 9 a.m. Complimentary event parking will be available at The Edgewater. Ellie Mahon is an Outreach & Communications Intern at Clean Lakes Alliance.